Music teaching with Suzuki method has been spreading rapidly in all regions of Brazil. 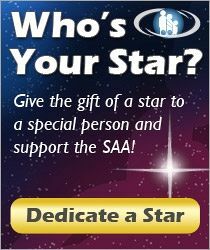 Today, there are SAA registered teachers in all regions of the country. As a result, a large number of students and families are involved in the educational process with the method. In 2015 alone, there were more than 350 enrollments in teacher training courses including filosofia, violin, viola, recorder, guitar, piano, music reading and teaching strategies. These numbers show not only the growth of trained teachers, but also diversity of ideas and needs. We have a long history with the Suzuki method in Brazil. The first news about a Japanese method dedicated to teaching violin to young children began to arrive around the 1970s. At that time, access to books, music, or recordings was extremely difficult, and the knowledge of the method was passed from teacher to teacher. With a heart full of love, these pioneering teachers offered the first steps of the Suzuki method in Brazil, the foundation of the stage we stand upon now. Today, we find ourselves in a very different picture. The availability of teaching material and the different courses being offered make the task of finding information easier. But the mission of nurturing a learning community remains challenging. 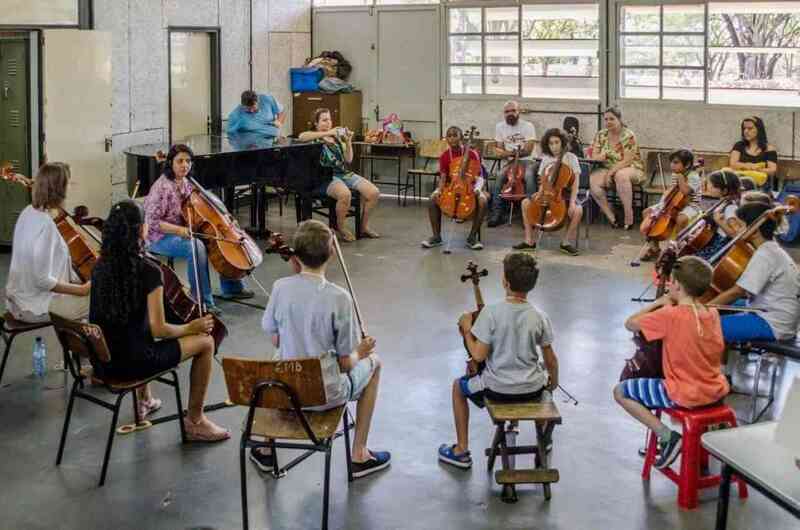 In this context, cherished by many generations of teachers and people interested not only in music teaching, but also in transforming society, the Associação Musical Suzuki de São Paulo (AMS.SP) outlined the First Brazilian Meeting of Suzuki Teachers and Students: Building Communities. Supported by the Suzuki Brasília Group, the event took place on October 10 and 11, 2015, at the Professional Education Center/Brasília’s Music School (CEP/EMB), Brasilia. The meeting was attended by more than 250 people, including students, teachers and parents from all regions of the country. Many Brazilian states were represented: Amapá, Bahia, Ceará, Federal District, Goiás, Minas Gerais, Pará, Pernambuco, Rio de Janeiro, Rio Grande do Sul, Santa Catarina and Sao Paulo. This sample underlines the need of bringing people together, thinking about teaching practice and the development of the method in the country and finding strategies that meet the needs and expectations of all the Suzuki community in Brazil. The format of this meeting was different from other models that have been organized in Brazil. In our retreats and in the teacher training weeks, teachers, students and parents are completely immersed and engaged in their courses, classes, assignments and exams. Therefore, there is little time for interaction and exchange of ideas among the participants. In the meeting’s format, we were able to reach many goals: to promote musical and non-musical educational experiences to students; to give parents the opportunity to meet other Suzuki parents while strengthening their ties with the Suzuki community; and to organize teachers so they could share knowledge and form partnerships. During the event there were various activities. For students: group classes, integration activities and musical activities with teachers; for parents: lectures and workshops on topics relevant to the Suzuki family, meetings with other parents and teachers; for teachers: lectures on various topics of general interest, forum for exchange of ideas, musical events for students and teachers; and for all participants: workshops and sharing activities. The speakers were teachers and parents that somehow contribute to the dissemination of the Suzuki method. For group lessons and other musical activities, teachers with recognized experience in the field of education were invited. Among the themes explored, we included: marketing strategies for studios; the use of the Suzuki method in social projects that rely on group teaching; the history of the beginning of the Suzuki method in Brazil; a chat for questions and strategies on how to make practice more dynamic and interesting at home; dynamics to foster the exchange of ideas between teachers; and the sharing of personal experience from parents who have been involved with the Suzuki method for a longer period. The group classes were fun and offered different activities that enriched the experience for everyone. They were the event’s main axis and occurred at times when there were no other activities, so that everyone could watch them. These activities promoted the socialization and the feeling of belonging to a community. They also contribute to learning, as they promote the establishment of a constructive and friendly atmosphere. Other factors contributed greatly to the interaction of the participants of the meeting. For instance: families who reside in the city of Brasilia offered lodging for families from elsewhere. This cheapened travel costs and provided an opportunity for more people to meet each other. Parents had a moment dedicated to them, where they were able to share doubts and insecurities, learn from each other, and receive answers to their questions from experienced teachers. Together, teachers and students staged fun sketches about teaching points, which revealed different views on Suzuki teaching. Students also had time to play spontaneously. Musical groups with varied instrumentations organized themselves during the day to perform at night during a pizza party, and finally, teachers also had space to share common problems and seek solutions together. It was an activity that brought great benefits to everyone involved. The event was also a result of the support of many people and institutions. The Suzuki Association of the Americas kindly sent the Brazilian teacher trainer Rolando Freitag for the event. His presence at the meeting was special for the fact that he is also a member of the board of directors of SAA. The Suzuki Brasília teacher community was fundamental for all work done before and during the event. We are very grateful for The School of Music of Brasilia, for the space and logistics offered at no cost, and Shar Music, Michael Becker Violin Shop, and Austin’s Violin Shop for their donations made to the AMS.SP. This meeting provided an opportunity to learn about the importance of being together and fostering a learning community. It showed that this action can catalyze problem solving, promoting new projects, nurturing a sense of belonging, make new friends, spread knowledge, and create positive experiences and memories. We believe that this meeting can be repeated in the future, bringing more and more participants and nurturing the Suzuki community. This was not the first of its kind held in our country, but it was the first carried out by a new generation of teachers, who respect and admire the past, and recognize the efforts of all who contribute to the development of the method in Brazil. And so, we go on working with the certainty that we are building a better place for all children. May we meet everyone many other times! O Método Suzuki de ensino de música tem se difundido rapidamente por todas as regiões do país, tanto que há hoje professores registrados na SAA em quase todos os estados brasileiros. Em consequência, há um grande número de alunos e famílias envolvidos no processo de ensino pelo método. Só em 2015, foram feitas mais de 350 inscrições em cursos de capacitação em filosofia, violino, viola, flauta doce, violão, piano, leitura musical e estratégias de ensino. Números tão expressivos apontam para a necessidade de nos preocuparmos com uma comunidade não apenas maior em número de integrantes, mas também com maior diversidade de idéias e de necessidades. Nossa história com o método Suzuki já é antiga. As primeiras notícias sobre um método japonês dedicado a ensinar violino para crianças pequenas começou a chegar ao Brasil em meados dos anos de 1970. Naquela época, o acesso a livros, partituras, ou gravações, era extremamente difícil, e o conhecimento sobre o método era passado de professor para professor. Com o coração cheio de amor nossos professores pioneiros ofereceram os primeiros passos do Método Suzuki no Brasil, sobre os quais semeamos uma nova etapa. Hoje, nos encontramos em um panorama bastante diferente. A oferta de materiais e dos mais diferentes cursos tornam a tarefa de encontrar informações mais fácil, mas a missão de nutrir uma comunidade de aprendizado ainda é difícil. Foi neste contexto, alimentado há tantas gerações por tantos professores e por pessoas interessadas em não só ensinar música, mas também em transformar a sociedade, que a Associação Musical Suzuki de São Paulo (AMS.SP) esboçou o “I Encontro Brasileiro de Professores e Alunos Suzuki: Construindo Comunidades”. Apoiado pelo Grupo Suzuki Brasília, o evento ocorreu nos dias 10 e 11 de Outubro de 2015, no Centro de Educação Profissional / Escola de Música de Brasília (CEP/EMB), em Brasília (DF). O encontro contou com mais de 250 pessoas, entre alunos, professores e pais. Todas as regiões do país estavam representadas por professores e famílias de diferentes estados brasileiros: Amapá, Bahia, Ceará, Distrito Federal, Goiás, Minas Gerais, Pará, Pernambuco, Rio de Janeiro, Rio Grande do Sul, Santa Catarina e São Paulo. Essa amostra dá uma dimensão da necessidade de nos reunirmos para pensar em práticas pedagógicas e no desenvolvimento do método no país, bem como apresentar estratégias que atendam às necessidades e expectativas da comunidade Suzuki no Brasil. O formato deste encontro foi diferente dos modelos que têm sido praticados no Brasil. Nos Retiros e nas Semanas de Capacitação, professores, alunos e pais estão completamente imersos e ocupados em seus cursos, aulas, tarefas e ensaios. Por isso, sobra pouco tempo de interação e trocas de ideias entre os participantes. Já no modelo proposto por este Encontro, conseguimos, dentre vários objetivos, favorecer experiências educacionais musicais e extra musicais dos alunos, proporcionar aos pais a oportunidade de conhecer outros pais Suzuki e de estreitar os laços com a comunidade Suzuki e organizar um espaço para professores compartilharem conhecimentos e formar parcerias. Durante o evento ocorreram diversas atividades. Para alunos: aulas em grupo, atividades de integração e atividades musicais de alunos e professores; para pais: palestras e oficinas sobre temas relevantes à Família Suzuki, encontro de pais e mestres; para professores: palestras sobre diferentes temas de interesse geral, fórum para troca de ideias, evento musical de alunos e professores; e para todos os participantes: oficinas e atividades de integração. Os palestrantes foram professores e pais que de alguma maneira contribuem para a divulgação do Método Suzuki. Para as aulas em grupo e demais atividades, foram convidados professores capacitados com reconhecida experiência na área da educação. Dentre os temas explorados, destacamos: estratégias de marketing para organização de estúdios; uso do Método Suzuki em projetos de ensino coletivo de instrumentos; história do início do Método Suzuki no Brasil; bate-papo sobre dúvidas e estratégias para tornar o estudo em casa mais dinâmico e interessante; dinâmica para nutrir a troca de ideias entre professores; e experiência pessoal de pais envolvidos há mais tempo com o Método Suzuki. As aulas coletivas foram divertidas e ofereceram atividades diferentes que enriqueceram a experiência de todos. Elas foram o eixo principal do evento e ocorreram em momentos que não havia qualquer outra atividade, de forma que todos pudessem assisti-las. Essas atividades fomentaram a socialização e o sentimento de pertencer a uma comunidade. Também contribuíram para o aprendizado, pois propiciaram a criação de um ambiente construtivo e acolhedor. Outros fatores contribuíram enormemente para a interação dos participantes do encontro. Famílias da cidade de Brasília ofereceram hospedagem para as famílias de outros lugares. Isto barateou os custos de viagem e proporcionou uma oportunidade a mais das pessoas se conhecerem. Durante o Encontro pais tiveram um espaço de atenção específico onde puderam expor dúvidas e inseguranças, aprender uns com os outros e sanar dúvidas com professores mais experientes. Em conjunto, professores e alunos encenaram peças divertidas sobre pontos de ensino, o que revelou diferentes olhares sobre o ensino Suzuki. Os alunos também tiveram momentos para tocar espontaneamente. Grupos musicais das mais variadas formações se organizaram durante o dia para se apresentar à noite durante uma pizzada. Por fim, a dinâmica entre professores para compartilhar problemas em comum e procurar soluções em conjunto, foi uma atividade que trouxe grandes benefícios para todos os envolvidos. “Estar na Escola de Música de Brasília, conhecer e rever pessoas da família Suzuki. Estar em um ambiente onde todos compartilham do amor pela música e pelo método Suzuki sem dúvida foi muito bom para toda família”. “Fazer novos amigos, ter chance da minha amiga ficar na minha casa. Ficar focada na música dois dias seguidos”. “O mais interessante pra mim foi conhecer pessoas novas, principalmente professores. Fiquei muito satisfeita com o clima de colaboração e amizade entre todos”. O evento também foi resultado do apoio de muitas pessoas e instituições. A Associação Suzuki das Américas (SAA) gentilmente enviou o professor capacitador Rolando Freitag para o evento. Sua presença no Encontro foi especial pelo fato de tratar-se de membro do conselho de diretores da SAA. A comunidade de professores Suzuki Brasília foi fundamental por todo trabalho desenvolvido antes e durante o evento. A Escola de Música de Brasília, pela seção de espaço e logística oferecidos e a Shar Music, Michael Becker e Austin’s Violin Shop pelas doações feitas à AMS.SP devem ser agradecidas. Enfim, este encontro ofereceu a oportunidade de aprendermos sobre a importância de estar juntos e de fomentar uma “comunidade de aprendizado”. Mostrou que essa ação pode catalizar a solução de problemas, fomentar novos projetos, nutrir a sensação de pertencimento, fazer novas amizades, difundir conhecimento, e criar memórias de experiências positivas. Acreditamos que este Encontro pode ser repetido futuramente, trazendo cada vez mais participantes e nutrindo a Comunidade Suzuki. Este não foi o primeiro desta natureza ocorrido em nosso país, mas foi o primeiro realizado por uma nova geração de professores, que respeita e admira o passado, e que reconhece todos os esforços de todos que contribuem para o desenvolvimento do método no Brasil. E assim, seguimos todos trabalhando com a certeza de que estamos construindo um lugar melhor para todas as crianças. Que encontremos toda esta gente muitas outras vezes! El Método Suzuki se ha extendido rápidamente por todas las regiones del país, por lo que hoy en día hay maestros registrados en la SAA en casi todos los estados brasileños. Como resultado, hay un gran número de estudiantes y familias involucrados en el proceso educativo por este método. Sólo en 2015, más de 350 personas hicieron cursos de formación en filosofía, violín, viola, flauta dulce, guitarra, piano, lectura musical y estrategias de enseñanza. Estas cifras apuntan a la necesidad de preocuparse por una comunidad no sólo mayor en número de miembros, sino también con una mayor diversidad de ideas y necesidades. Nuestra historia con el método Suzuki es antigua. La primera noticia acerca de un método japonés dedicado a la enseñanza de violín a niños de corta edad comenzó a llegar a Brasil al medio de los años 1970. En ese momento, el acceso a los libros, la música o las grabaciones, que era extremadamente difícil, y el conocimiento del método se transmitía de maestro a maestro.Con un corazón lleno de amor nuestros maestros pioneros ofrecieron los primeros pasos del Método Suzuki en Brasil, en lo que sembramos una nueva etapa. Hoy en día, nos encontramos en una situación muy diferente. El suministro de los materiales y los más diferentes cursos hacen la tarea de encontrar la información más fácil, pero la misión de alimentar a una comunidad de aprendizaje sigue siendo difícil. Fue en este contexto, alimentado hace tantas generaciones por maestros y personas interesadas en enseñar no sólo música, sino también en la transformación de la sociedad, que la Associação Musical Suzuki de São Paulo (AMS.SP) dibujó el “Primer Encuentro Brasileño de Profesores y Alumnos Suzuki: Construyendo Comunidades”. Apoyado por el Grupo de Suzuki Brasilia, el evento tuvo lugar el 10 y 11 de octubre de 2015 en el Centro de Educación Profisional / Escuela de Música de Brasilia (CEP / EMB), Brasilia (Distrito Federal). A este Encuentro asistieron más de 250 personas, entre estudiantes, profesores y padres. Todas las regiones del país estaban representados por los profesores y familias de diferentes estados brasileños: Amapá, Bahía, Ceará, Distrito Federal, Goiás, Minas Gerais, Pará, Pernambuco, Río de Janeiro, Rio Grande do Sul, Santa Catarina y São Paulo. Esta muestra da una dimensión de la necesidad de unirse para pensar en estrategias de enseñanza y el desarrollo del método en el país y presentar estrategias que satisfagan las necesidades y expectativas de la comunidad Suzuki en Brasil. El formato de este Encuentro fue diferente a los modelos que se han practicado en Brasil. En los Retiros y en las Semanas de Capacitación, los profesores, los estudiantes y los padres están completamente sumergidos y participan en sus cursos, clases, tareas y exámenes. Por lo tanto, hay poco tiempo para la interacción y el intercambio de ideas entre los participantes. En el modelo propuesto por este Encuentro, logramos entre muchos objetivos, promover experiencias educativas musicales y extra-musicales a los estudiantes, dar a los padres la oportunidad de conocer a otros padres Suzuki, fortalecer los vínculos con la comunidad Suzuki y organizar un espacio para que maestros compartan su conocimiento y formen alianzas. Durante el evento hubieron varias actividades. Para los alumnos: clases de grupo, actividades de integración y actividades musicales de estudiantes y profesores; para los padres, conferencias y talleres sobre temas de interés para la familia Suzuki, reunión de padres y profesores; para los profesores: conferencias sobre diversos temas de interés general, foro de intercambio de ideas, evento musical de estudiantes y profesores; y para todos los participantes: talleres y actividades de integración. Los ponentes fueron los maestros y los padres que de alguna manera contribuyen a la difusión del Método Suzuki. Para las clases de grupo y las otras actividades, fueron invitados maestros capacitados con experiencia reconocida en el campo de la educación. Entre los temas explorados, subrayamos: estrategias de marketing para la organización de estudios; el uso del Método Suzuki en proyectos de enseñanza colectiva de instrumentos; historia del principio del Método Suzuki en Brasil; charla sobre preguntas y estrategias para hacer el estudio en casa más dinámico e interesante; dinámicas para fomentar el intercambio de ideas entre profesores; y la experiencia personal de padres que están involucrados con el Método Suzuki hace más tiempo. Las clases de grupo fueran divertidas y ofrecieran diferentes actividades que enriquecieron la experiencia de todos. Ellas fueran el eje principal del evento y ocurrieran en momentos en que no había ninguna otra actividad, para que todos pudieran verlas. Estas actividades promovieron la socialización y el sentimiento de pertenencia a una comunidad. También contribuyen al aprendizaje, porque permitieron la creación de un ambiente constructivo y acogedor. Otros factores contribuyeron en gran medida a la interacción de los participantes en el encuentro. Las familias de Brasilia ofrecieron alojamiento para familias en otros lugares. Esto abarató los gastos de viaje y proporcionó una oportunidad para que más personas se encuentren. Durante la reunión los padres tuvieran un espacio para atención especial donde pudieron exponer sus dudas e inseguridades, aprender unos de otros y responder a las preguntas con profesores con más experiencia. Juntos, profesores y alumnos organizaron una dramatización sobre temas de enseñanza, que revelaron diferentes puntos de vista sobre la enseñanza Suzuki. Los estudiantes también tuvieron tiempo para tocar de forma espontánea. Grupos musicales de variadas formaciones se organizaron durante el día para presentarse en la noche durante una “pizzada”. Por último, la dinámica entre los profesores donde pudieran compartir problemas comunes y buscar soluciones juntos, fue una actividad que ha traído grandes beneficios para todos los involucrados. “Estar en la Escuela de Música de Brasilia, conocer gente y reencontrar personas de la familia Suzuki. Estar en un ambiente donde todos comparten el amor por la música y por el Método Suzuki fue sin duda muy bueno para toda la familia”. “Hacer nuevos amigos, tener la oportunidad de mi amiga quedarse en mi casa. Mantenerme enfocada en la música por dos días seguidos”. “Lo más interesante para mí fue conocer nuevas personas, especialmente los maestros. Yo quedé muy contento con el ambiente de cooperación y amistad entre todos”. El evento fue también un resultado del apoyo de muchas personas e instituciones. Asociación Suzuki de las Américas (SAA) amablemente envió el profesor capacitador Rolando Freitag para el evento. Su presencia en la reunión fue especial por el hecho de que es un miembro del consejo de directores de la SAA. La comunidad de profesores Suzuki Brasilia fue fundamental para todo el trabajo realizado antes y durante el evento. La Escuela de Música de Brasilia, por la sección de espacio y logística ofrecidos y a “Shar Music”, “Michael Becker Violin Shop” y la “Austin’s Violin Shop” por donaciones hechas para la AMS.SP. Estamos muy agradecidos. De todos modos, este encuentro fue una oportunidad para aprender acerca de la importancia de estar juntos y de fomentar una “comunidad de aprendizaje”. Se demostró que con esta acción se puede catalizar la resolución de problemas, fomentar nuevos proyectos, promocionar un sentido de pertenencia, hacer nuevos amigos, difundir el conocimiento, y crear experiencias positivas. Creemos que esta reunión se puede repetir en el futuro, llevando cada vez más participantes y nutriendo la comunidad de Suzuki. Esta no fue la primera reunión de este tipo que se celebra en nuestro país, pero fue la primera llevada a cabo por una nueva generación de profesores, que respeta y admira el pasado, y reconoce todos los esfuerzos de todos los que contribuyen al desarrollo del método en Brasil. Y así, seguimos todos los que trabajan con la seguridad de que estamos construyendo un mejor lugar para todos los niños. Que nos encontremos con todas estas personas muchas veces! Previously printed in American Suzuki Journal 44.3. Reprinted with permission. Copyright © 2016 Suzuki Association of the Americas, Inc.
Fabio dos Santos holds MA at UNICAMP (Brazil). 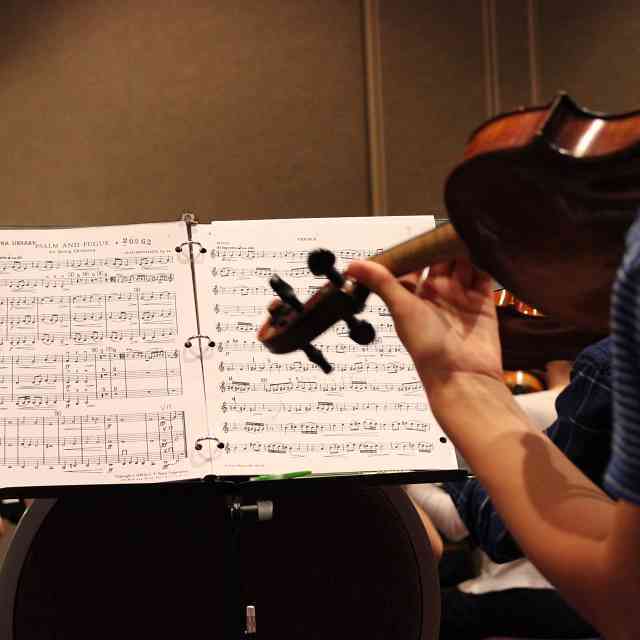 He is a registered Suzuki violin teacher since 2001. He is active as a popular and classical musician works as a teacher at the Centro Suzuki de Campinas. He is a founding member of the Associação Musical Suzuki de São Paulo. 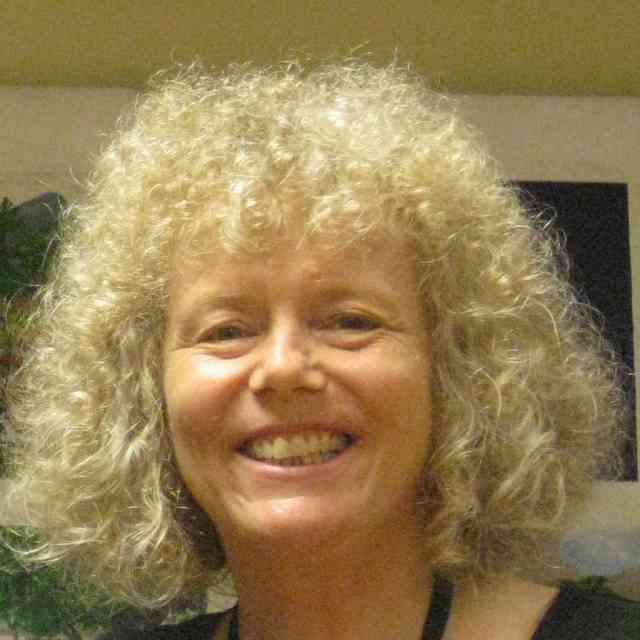 Araceli Hackbarth has been a violin teacher since 2002 and adopted Suzuki’s method in 2009. She began her own violin studies at the age of 7, under Suzuki’s philosophy. 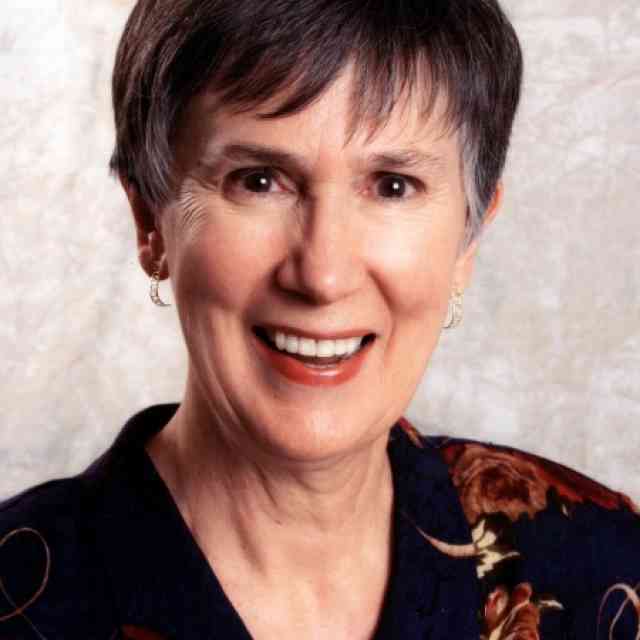 She graduated both in Physiotherapy and Musical Education, has a Master Science and a Doctorate degrees in Science and a specialization in Musical Therapy. 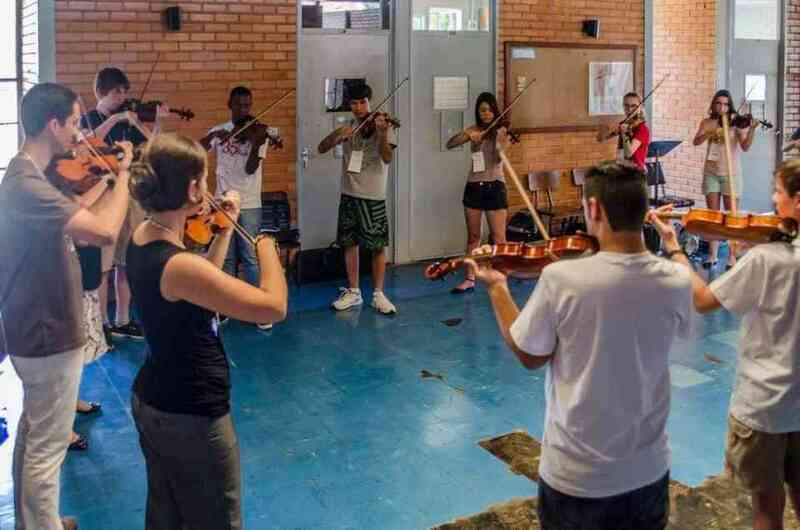 Currently, besides teaching violin in her own studio in São Carlos (State of São Paulo—Brazil), she coordinates a musical group named ‘Octo-plus’ formed by her pupils, family members and invited friends. She is also board of directors of AMSBrasil (Suzuki Music Association of Brazil), since 2015.